The Big Sky Tournament is finally upon us! On Saturday, there will be two quarterfinal games being played. In the three vs six matchup, we will see Montana State travel to take on Portland State. Let's break it down and offer up a prediction. You wouldn't guess this, but it has been Montana State that has swept the season series. They beat Portland State 86-73 in late December, and then 70-65 in late January. 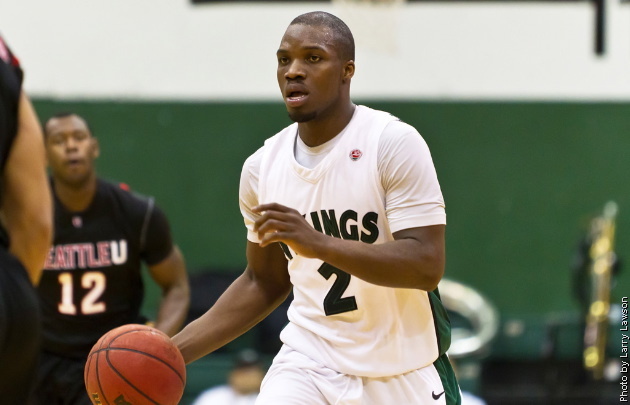 Portland State is led by all-conference player Charles Odum, who is second in the conference in scoring. He is an excellent offensive player, and he shoots 62% from inside the arc, an astounding number for a 6'0'' guard. He is a master at getting in the lane and to the line, where he has shot more than seven FTs per game (making 83% of them). He is flanked by Lateef McMullan, who struggled early in the year but has had some nice moments. They need more consistent play from him, but he is capable of producing. Michael Harthun is in the wing spot, and he has been a quietly efficient player. He shoots 43% from downtown, and doesn't take much off the table. Montana State has been hurt by attrition. Jamie Stewart was academically ineligible, and of course Xavier Blount got injured in an off-court incident. That has stretched their depth. Rod Singleton is their (much-maligned, by fans) senior leader and PG, but he turns it over more than he gets assists. Shawn Reid has stepped into the lineup in Blount's absense and been probably their best player over the last month. He is a guy they look to as their go-to scorer. Christian Moon is a nice outside shooter, but he has been slumping a bit. If he starts to hit some shots, they will have a chance. EDGE: I give the edge to Portland State simply because they have Charles Odum. He is a difference-maker. MSU usually starts Mohammed Fall and Tre Johnson in the post, two guys that have different skill sets. Fall is an athletic guy, solid defender and rebounder, and a guy that cleans up on the offensive glass with putbacks. 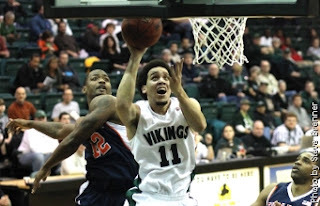 He is one of the best shot blockers in the conference, and a guy that can cause teams problems down low. Tre Johnson is more offensive minded, and is a little bit better at creating shots. For PSU, they are led by Chehales Tapscott, another first teamer and probably the best frontcourt player in the Big Sky. He does it all for the Viks. He is a solid scorer, the best rebounder in the Big Sky, one of the best shot blockers, and also gets his fair share of steals. He is a fun guy to watch, and the conference will miss him. He is joined in the frontcourt by Nate Lozeau, a guy that started out the year very strong, but has had less of impact as the season has gone on. Still, he is a big man that rebounds and shoots a very nice percentage. EDGE: I give Portland State a slight edge in this one, because Tapscott is just that good. Portland State has the best bench player in the game and one of the best in the conference in Renado Parker, an adept scorer and rebounder. He has a chance to be a 15/8 player next year and forms a formidable offensive duo with Tapscott. Gary Winston has been a nice player in the backcourt for them, showing a nice outside touch. He is a likely starter next year and can be a solid bench player for them. Montana State, as we've said, struggles with depth because of their personnel losses. Mike Dison is their lone backcourt sub that gets a lot of time, but he struggles to make an impact as a freshman. In the frontcourt, Jeff Budinich is a nice player. He has a sneaky solid outside shot, and his high release means he can get shots off almost whenever he wants. Jourdain Allou is a solid, athletic big that is a good offensive rebounder and efficient scorer. EDGE: This one is too close to call, so I will say even. Each team has one or two guys that can make plays off the bench, but they are not very deep. The starters will decide this game. These are two teams trending in opposite directions. The Vikings have won six straight conference games, while the Bobcats have won once in their last nine games. As I have been saying (including on a podcast with Gidal), MSU relies heavily on Shawn Reid and Christian Moon for their scoring, but they are not necessarily ready for those roles. Portland State, meanwhile, is well defined in that they have their two stars (Odum and Tapscott), and then everyone else falls in after that. They will be the two best players on the court, and combined with the fact that this game is in Portland, I like the Vikings to win this game.